Being an avid reader, addicted to fantasy realms early in life, I rarely return to re-read a novel. There are so many new and ongoing stories that beckon, so many more realms to explore, that re-exploring even a much loved story is usually not in the cards. When Mud, a modern day Orpheus story with a gut-punch fantasy spiral and a heartrending protagonist came out in Audio Book form, though, I knew that I needed to revisit one of my favorite worlds. Considering that the story is spiraling off further sequels and one hell of a pull-out-the-stops prequel, a little refresher is also in order on the origins of the Third Realm War and the beleaguered heroes that battle gods and demons alike. 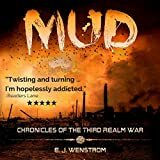 Giving the characters an active voice and enhancing the tension and beauty of the vivid descriptions, Mud makes a stunning story read aloud. The narrator, Tom Zadoyko, evokes the rumbling, monster-like bass of the brave Golem, Adem, who pines for a soul and release from the curse of continual slaughter, all in the name of a mysterious box and a long forgotten creator. 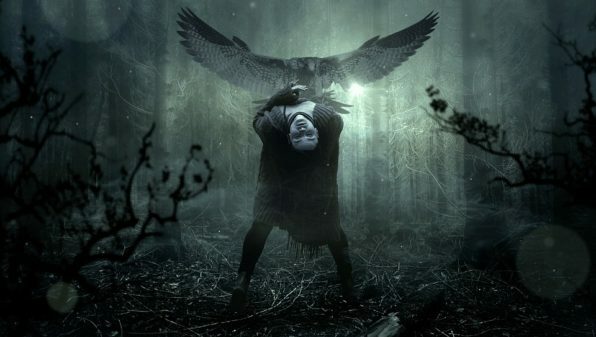 Zadoyko also morphs his voice, tapping into the magic of the realm to bring alive the boy Jordan and later the man, a prophesied and gentle leader attached to the tragic Golem. A whole other cast, monsters and angels, denizens of the underworld, warriors of the hidden wasteland, militant police-like town forces, and more evolve and shine. In the print version they all leapt off the page and demanded attention, some love and some hate, but in the audio version the narrative goes a step farther, setting us for the same magic but woven differently. 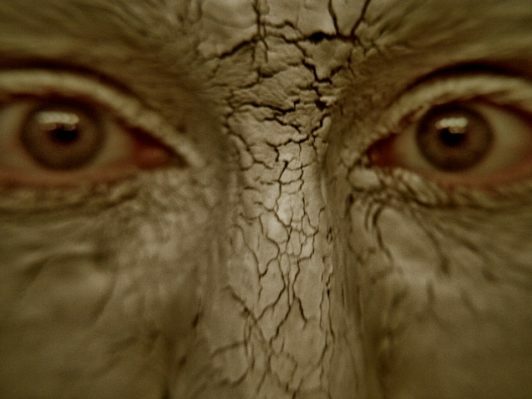 The story follows a man-creature made of mud, a powerful golem named Adem who has been hiding for centuries, terrified of the people who follow him and seek the box he is bound to guard. He remembers neither his creation nor his creator. He only knows his dark purpose and his one true wish – to gain a soul – to become human and leave the world of killing and darkness behind. When an angel appears to him and makes a deal – a journey to the underworld to retrieve a long dead love in exchange for a soul – Adem agrees. His soulless nature is imperative to cross the boundaries of the world and his desire to change his nature is stronger than any warning, stronger even than the fear of a rift between realms that could bring on the ultimate war. As Adem journeys deeper into the land of the dead, encountering temptations and hallucinations, demons and dark keepers, the angel’s message – one of devoted love and redemption – becomes ever more suspicious. And the box – Adem’s box that only a soul will free him from – its curse is a loud call to something more powerful, something older and unfinished, something that stands between the gods who abandoned man and what remains of the shattered reality of Adem’s world. As the tension escalates, as the underworld weaves spells of painful beauty and eternal horror Zadoyko paints a captivating picture, bringing alive a world of whispers and things half seen in the corners of the eye, a world with lying demons, bereaved angels, haunted populations, and a shifting, widening rift. Once Adem returns, the true scope of his actions, the ramifications of his simple wish for freedom, become apparent and a new chapter begins, one that will flow over three books. Adem’s final choice is about more than just a soul, it’s about everything he stands for and it’s about reparations, about saving a chaotic realm that is being pulled apart by old magic and even older betrayals. Can Adem choose good when it forever condemns him to be evil? Does his choice even matter at this point? Is it simply too late? And what of the lustrous angel and his story – is his love truly eternal or does something darker and fallen grow between the words of obsession and actions decades in the building? Zadoyko captures the questions and revelations and the turmoil of choice – not just Adem’s but the choices and fears of those who have been drawn into his story including the retrieved soul forced to relive her death to rebirth into life. From the shattered voice of Rona, the love returned to horrifying life, to the kindly voice of a grown boy, prophesied to lead the realm in its last and final war, Zadoyko captures the subtle differences in tone, the personalities behind the words and the emotions behind the actions and the final, epic fight. It is here then that we relive the beauty and brutality of Mud, this time as an audio accompaniment to the iridescent pictures that caper through our minds as we watch golems and angels battle over fate of an embittered people and the twisted carcass of a love never, ever meant to be. It’s a new way to hear a beloved story and a brief touchstone after the prequel (Rain) to reacquaint us with the war now that we know the history, and the contents, of Adem’s box.